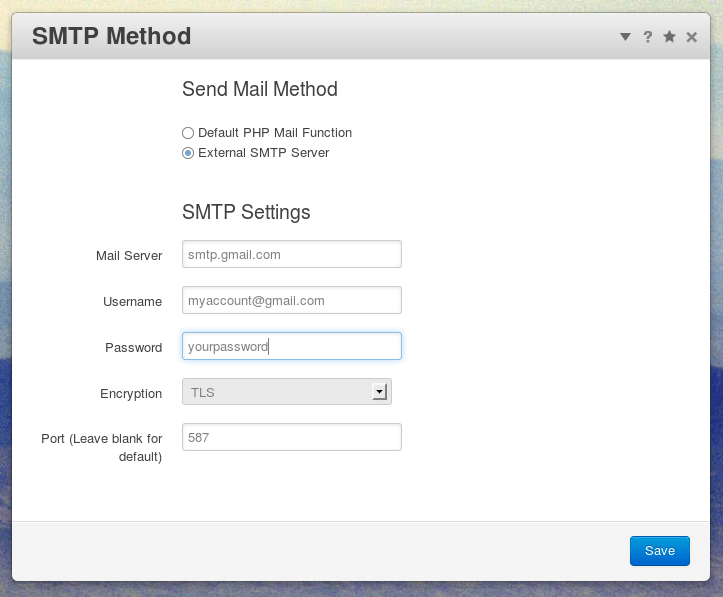 Click the “System & Settings -> SMTP Method” menu item. Replace the above values with settings specific to your SMTP server. If using Gmail, replace the USERNAME and PASSWORD placeholders with correct values for your Gmail account.